On This Day 1916: Military honours for Canadian soldier’s funeral. Private Archibald Lea of the Fifteenth Canadian Highlanders, who died in the London County Council’s Military hospital at Epsom, was buried locally with military honours attended by many soldiers from Shoreham Camp. His father was a local Worthing business-man but Archibald was in Toronto when war broke out and immediately signed up to the Canadian Expeditionary Force. In July, 1915, he was wounded but recovered and went back to the fighting line in November. He remained abroad until the 28th of April 1916 when he was wounded again in the fighting at St. Eloi. Unfortunately, on this second occasion this more serious wound led to tetanus to which he succumbed. His funeral was well-attended with a firing party and gun carriage supplied by the Royal Fusiliers from Shoreham Camp and accompanied by every indication of widespread respect and esteem. 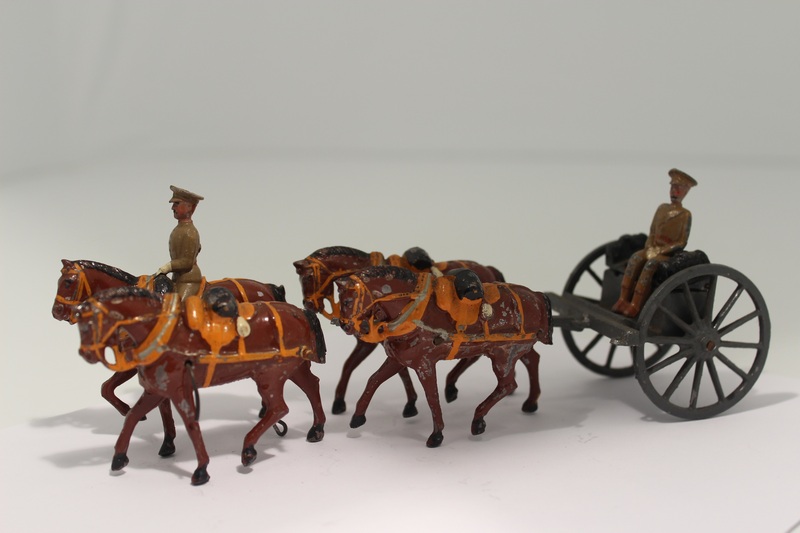 Section of a First World War toy gun carriage. Courtesy of Worthing Museum and Art Gallery.